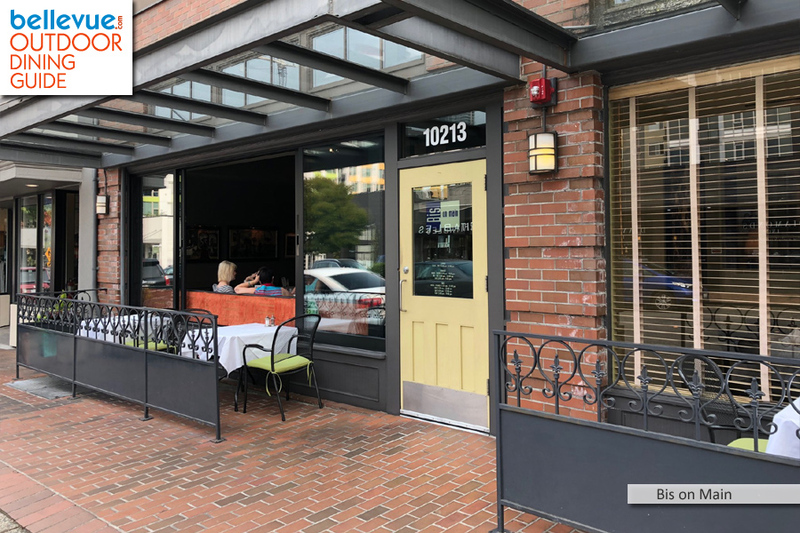 That's what we are calling the stretch of Main Street between Bellevue Way NE and 100th Ave NE in Old Bellevue that is lined with quaint outdoor tables, patios and other al fresco paraphernalia street side a la French cafes. 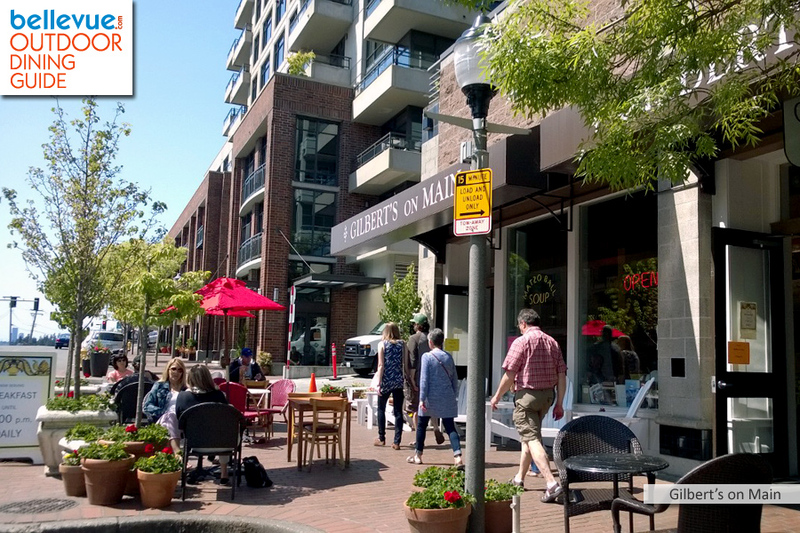 We tallied up some 12 restaurants, delis and cafes with al fresco, street-side seating ideal for not only people watching but car watching too (15 if we include T'Latte, Third Culture Coffee, and Carmines Bellevue just north of Al Fresco Row). 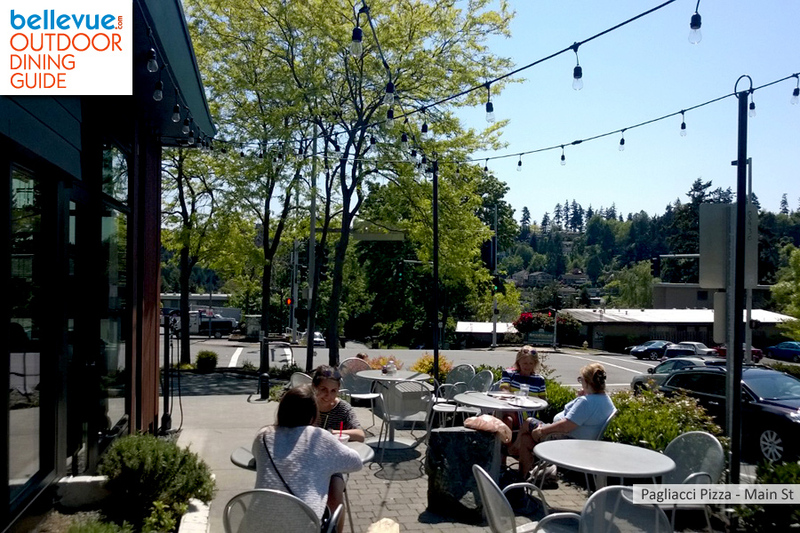 These Old Bellevue restaurants and cafes are serious about alfresco dining, often the first ones to set out their patio tables, chairs and umbrellas at the first smell of sunshine even if it's just for a day. 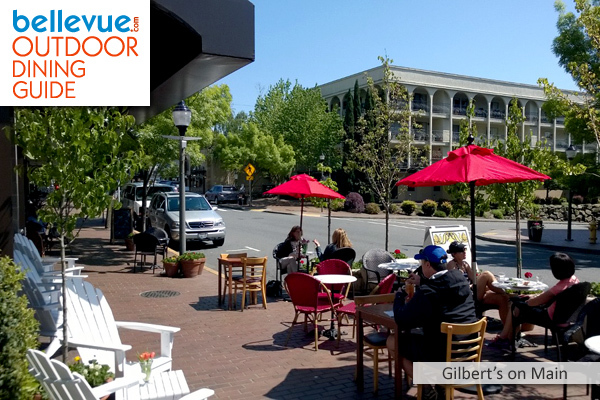 Take your pick of views, cuisines, ambiance or sidewalk chairs, everything tastes best outside. 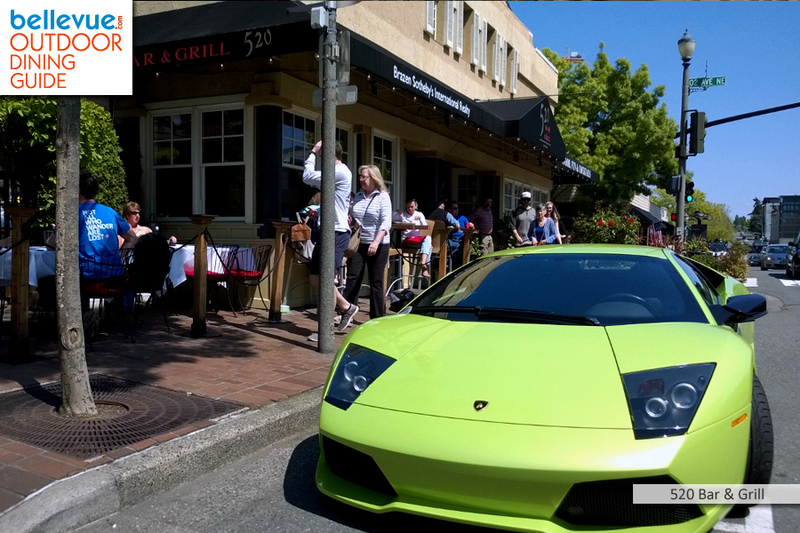 Here we go, heading westbound on Al Fresco Row in Old Bellevue starting at Bellevue Way NE. 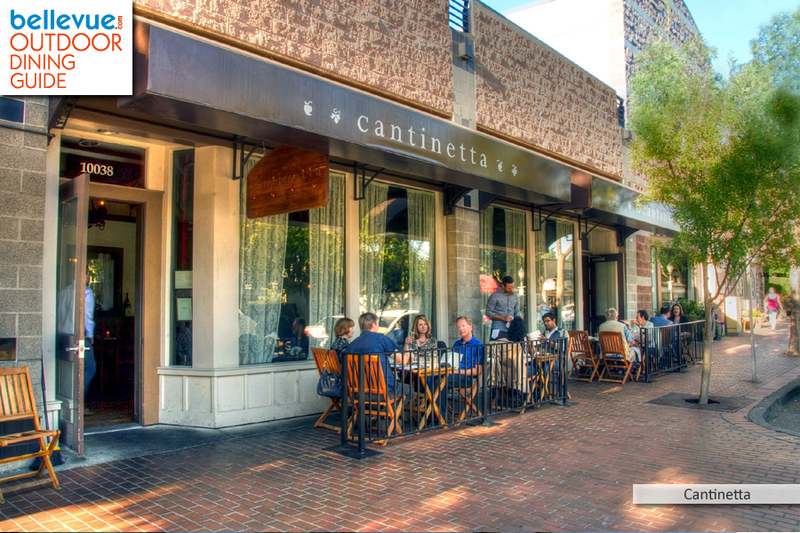 Click on to see a street view of a restaurant. 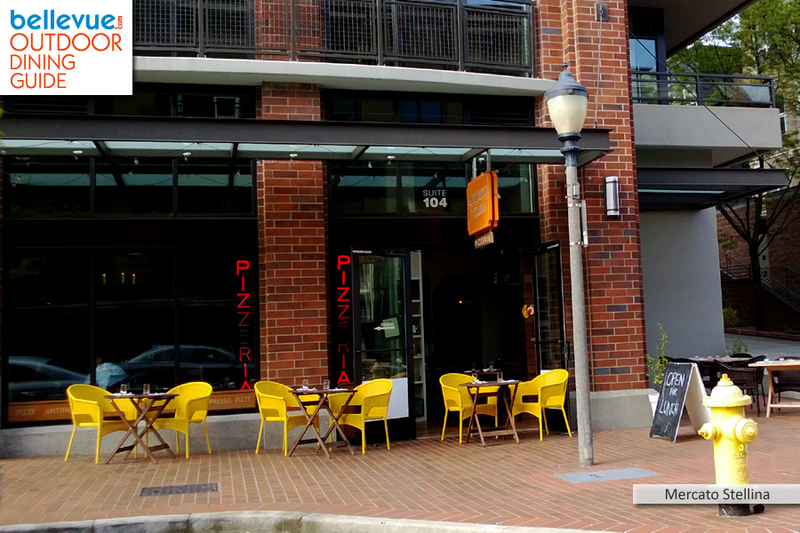 We recommend calling ahead to make sure. 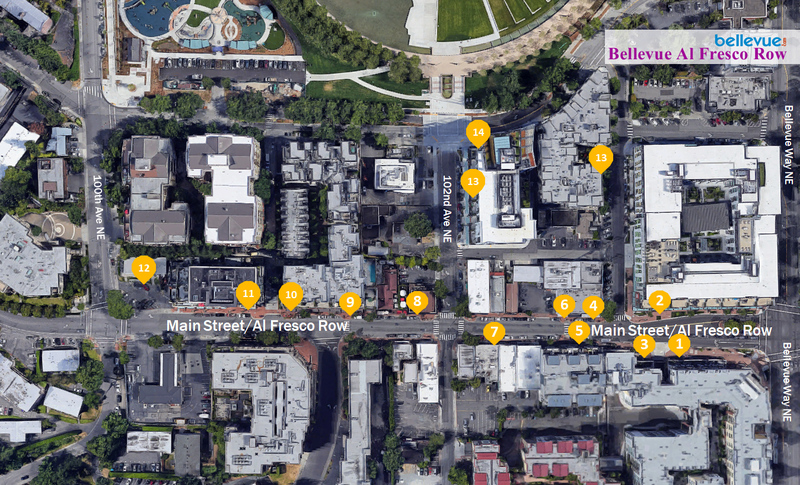 When calling, please say you found them on Bellevue.com. 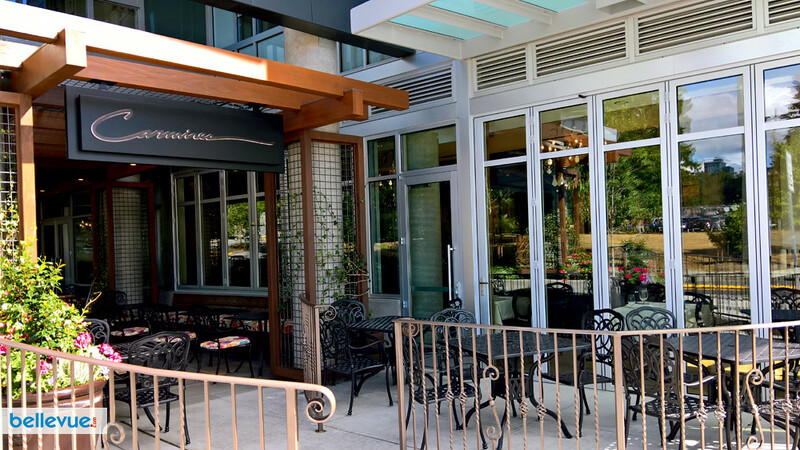 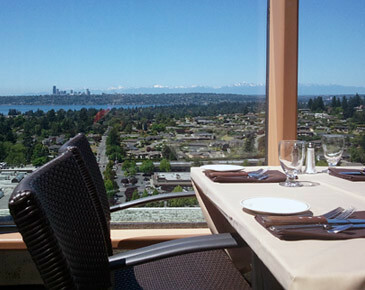 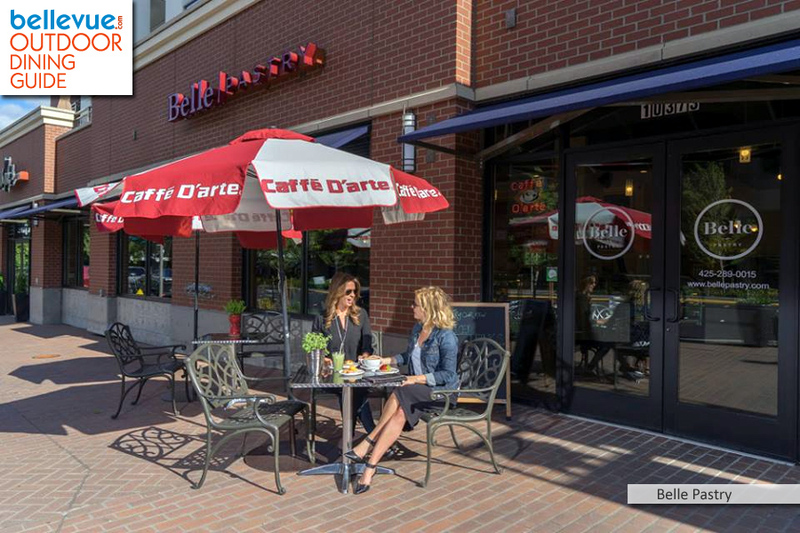 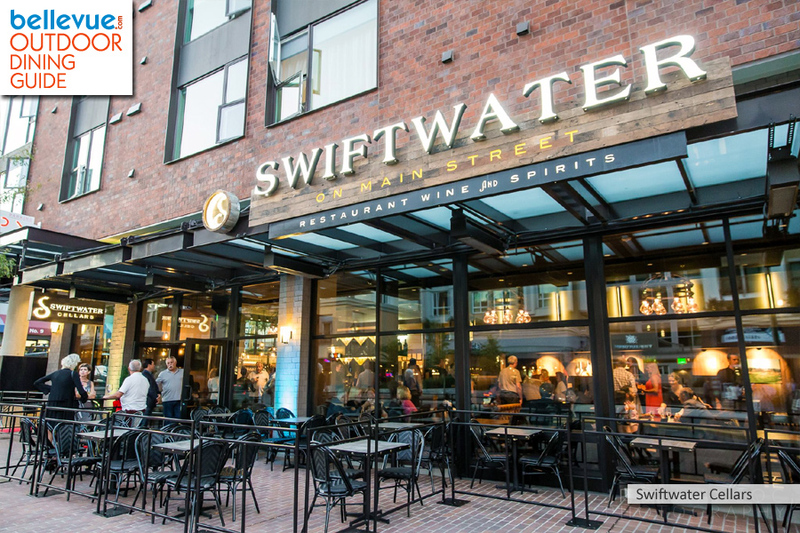 Check our Bellevue Outdoor Dining Guide for a complete list of Bellevue restaurants, bars and cafes that offer al fresco dining. 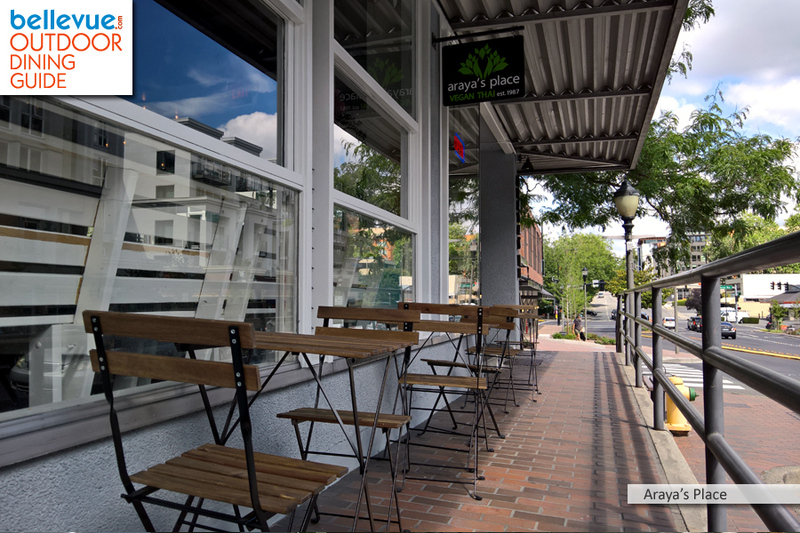 Let us know if we miss a spot.